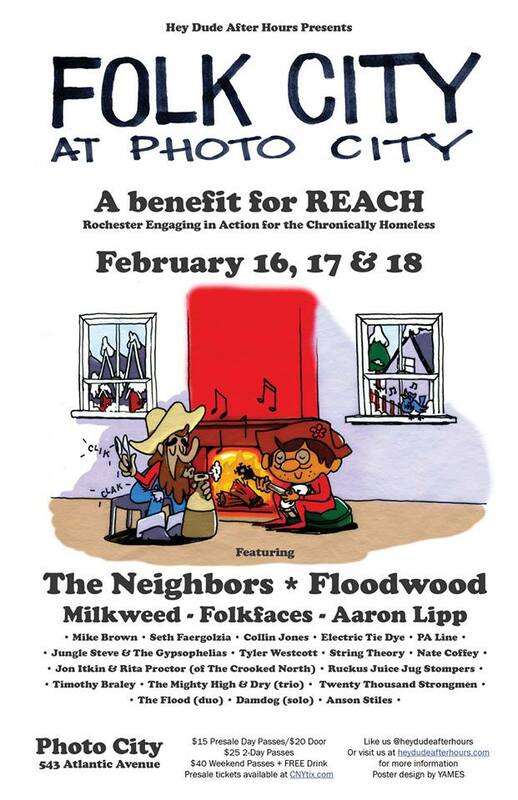 Event booking and promotions company Hey Dude After Hours has just announced the lineup to their three day folk festival, “Folk City” at Photo City Comedy and Improv in Rochester. 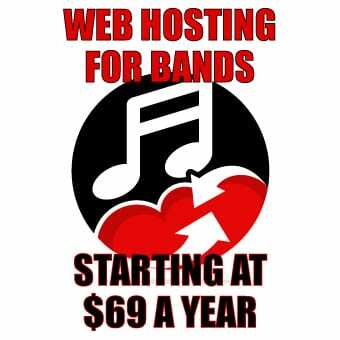 The event will run on Friday Feb. 16, Saturday Feb. 17, and Sunday Feb. 18. 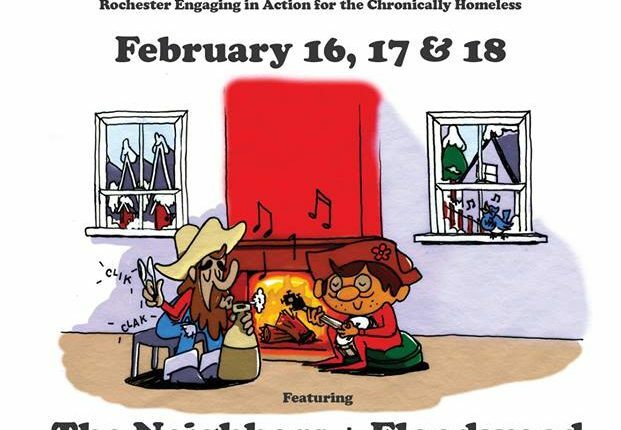 Folk City festival will be raising money for REACH (Rochester Engaging in Action for the Chronically Homeless). As the acronym implies, REACH collaborates to create safe, financially sustainable, housing options to meet the needs of chronically homeless individuals by ensuring services needed and encouraging mutual care. The three day event includes many of the region’s favorite folk acts, including headlining performances by Floodwood, Folkfaces, Milkweed, and the Neighbors (Members of Driftwood,) alongside Twenty Thousand Strongmen, PA Line, String Theory, Aaron Lipp, and Seth Faergolzia, with many more musicians ready to tickle your ears. One-day passes will cost $15 pre-sale or $20 at the door. Two-day passes come at a pre-sale price of $25, and a full three-day pass is marked at $40 pre-sale and includes a free drink. Tickets can be purchased through cnytix.com. The full event schedule is listed below.